Teiko Yonaha Tursi was born in Nago, Okinawa. She survived the Battle of Okinawa, and depended on the bountiful waters at Henoko to survive. She received her Bachelor of Arts in Psychology from Glassboro State College, and a Masters of Social Work from Widener University. Tursi retired in 2004 as a Youth Case Manager at Mental Health Center, New Jersey. She has been an overseas reporter for the Okinawa Times since 1992. 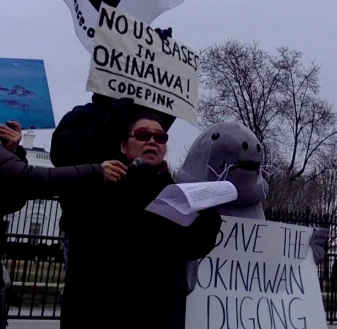 She served as president of the Okinawa American Association of New York for ten years, from 2004-2014. Her book, Kokoro No Sakebi (translated as "Cry for the Soul") is an essay on psychiatric case work. In 2006 the Okinawa Prefecture government appointed her as a Goodwill Ambassador, and in 2011 they presented her with the Lifetime Achievement award.